Sustainability in manufacturing, as defined by the National Council for Advanced Manufacturing (NACFAM), can be looked at in two ways: meeting the needs of the present without compromising future generations’ ability to meet their own needs; and the creation of products using non-polluting, energy-conserving processes, that are safe for people and the environment. Either way it is defined, it is a practice and a topic that is generating a lot of attention. There are many reasons why companies choose to manufacture sustainably. These decisions can range from the financial to the responsible—companies that utilize sustainable manufacturing often save money and gain a better reputation (translating to more money), and many do so simply because environmental awareness is important to them. It’s true that the financial implications individual companies see from sustainable manufacturing can be far reaching. 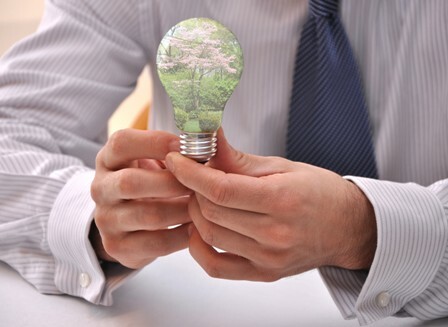 Using less energy traditionally translates to spending less money; many companies also find that initial costs for going “green” show great ROI. When looking at the bigger picture of sustainable manufacturing—its effect on the industry and the country, not just on an individual company—there’s another benefit that many people foresee. Articles such as this one project significant job growth to come as a direct result of sustainable manufacturing. How? The article points to examples where energy efficiency has shown job creation, such as pulp and paper mills that could save $240 million per year and preserve 370,000 jobs as a result of improving energy efficiency. Furthermore, when businesses or industries save money, it allows them to spend more on hiring and training. American manufacturing is growing significantly, thanks to innovation, technology, thought-leadership, and forward thinking. If the industry continues to embrace sustainability, even in little ways, there’s no telling what can come of it.